For the guy who’s not afraid to be bold. 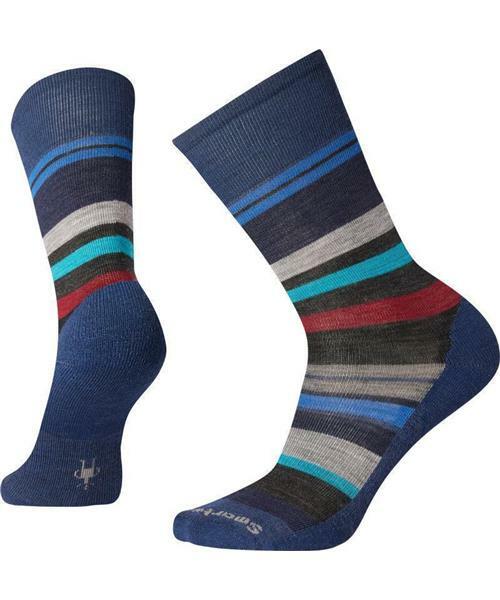 The manly answer to Smartwool's always popular striped socks offers a support brace and cushioned foot for all day comfort. Saturnsphere Socks - Mens is rated 3.0 out of 5 by 1. Rated 3 out of 5 by Junior from Too tight The socks in general are too snug on me. While comfy on the foot with a cushy base, they are way too tight in the leg/calf and cause some serious indentations. I'm a larger dude but my legs are only a couple levels above chicken status. Quality is great but I wouldn't buy them again.